What is ADMX File Ingesting in Intune? 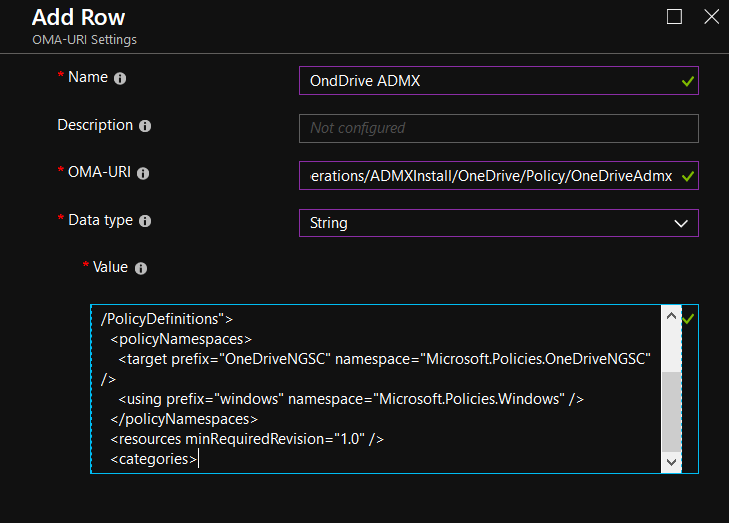 We’ve talked about how Intune has incorporated ADMX backed policies to manage even more settings in your Windows 10 devices. But what if you want to deliver settings that aren’t part of the “in the box” policies from Microsoft. Well, if you are familiar with Group Policy, then you are aware that you can garner more policy setting opportunities by importing new ADM or ADMX files. For instance, Microsoft Office has an ADMX file as does other third party applications such as Adobe Reader and to some extent, Mozilla Firefox. Well you can import additional ADMX files for MDM as well, although its currently not as easy as there is no central store for MDM like is the case for Group Policy. There is no way (at present) to add additional ADMX templates with a couple clicks of the mouse, but with just a little bit of trouble, you can do it. Once the new profile is created, we can then use it to deliver the new supported settings using that profile.